Gov. Bruce Rauner caused a firestorm within the Republican Party by admitting Thursday in an exclusive ABC7 interview that he had recruited four people to take his place on the ballot in November. Cook County Commissioner Sean Morrison, a leading state Republican, is now calling for an emergency meeting of the State Central Committee to address what the Rauner revelation, which he and others are calling a deeply troubling matter. Rauner is being accused of betraying the party. “Stunned and even more disappointed, I didn’t think I could be more disappointed or betrayed because I think that the Governor really betrayed everybody in the party and by extension everyone in the state,” said Chris Robling, a Republican strategist. 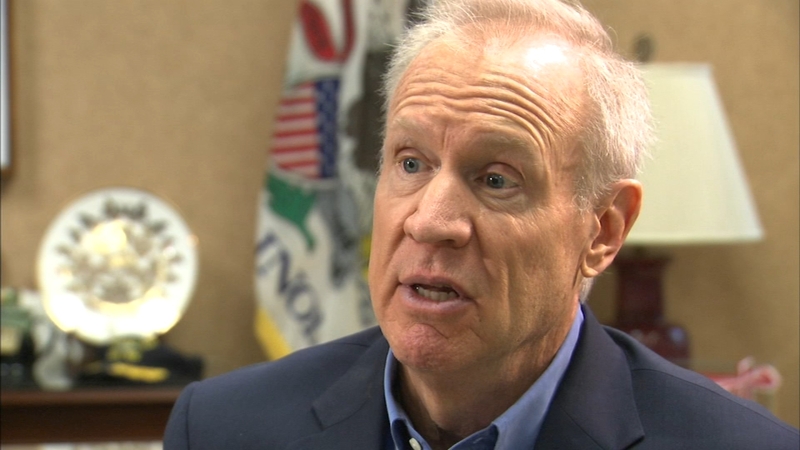 Sources said that Rauner approached his attorney general candidate Erika Harold the day after the state fair in August, less than three months before the election, and asked her to take his place on the ballot. “It appears in this case he wasn’t really into it and he got more and more out of it the longer the campaign went on,” Robling said. Rauner had also asked then-state Sen. Karen McConnaughay to do the same in April. McConnaughay said first lady Diana Rauner approached her with a similar request the year before. The fallout has Republicans frustrated and angry. “What happened at the top of the ticket brought us down across the whole state, we lost a whole lot of state legislative seats because of what he did and that’s what really hurts, because now Madigan has a super majority and we can’t stop him,” said Chris Cleveland, chairman of the Chicago Republican Party. Other Republicans are not only shocked by what the governor did, but that he publicly admitted it.